Plan on remodeling your home this Fall and don’t know where to start? Join us at booth #2311 at the Del Mar Home & Garden Show! This is the best place to get some inspiration for your project! It’s a one-stop shop for everything pertaining to your home or garden remodel. You can look forward to interior design and garden displays, hands-on demonstrations, and even educational seminars on how to design. We will be there all three days, Friday, Saturday & Sunday (October 21-23) showcasing our latest window coverings & window treatments from top brands including Somfy, QMotion, Levolor, and more! Come see us! As Fall begins to roll in, now is the time to start thinking about window treatment ideas that you can use to warm your rooms. 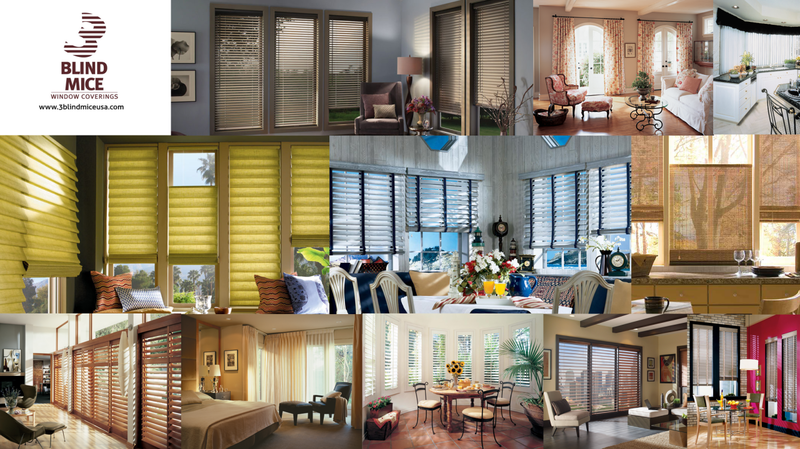 Let us at 3 Blind Mice, San Diego’s custom window treatment experts, help you update your bedroom with light-blocking window treatment options that are both functional and stylish! Or how about that living room you’ve been meaning to get to? Now is the time! Also, be sure to stop by our booth (#2311) and ask about our free give-away!